Reducing body booster that works against cellulite while you sleep. Like a true moving force, SLIM STARTER -NIGHT- works effectively at night to activate the “fat-burning” process against the most stubborn cellulite. – Reduces the visible signs of cellulite on stubborn areas. – The skin is smoothed, reducing the dimpled appearance. – The skin gains firmness and suppleness. Treating localised cellulite that affects even the slimmest women. Intervene on problem areas: abdomen, hips, buttocks, knees, etc. Powerful combination of plant extracts and algae (Buxus Sinica, Pimpinella Anisum and Plankton). LASTING EFFECTIVENESS. “Barrier effect” that prevents new accumulations. REDUCING EFFECTIVENESS. Works at night and enhances the “fat-burning” process. ENERGISING EFFECTIVENESS. Increases the energy level of the cell, helping to unblock the fatty stocks of the adipocyte. SLIMMING EFFECTIVENESS. They burn fat in the most stubborn areas. 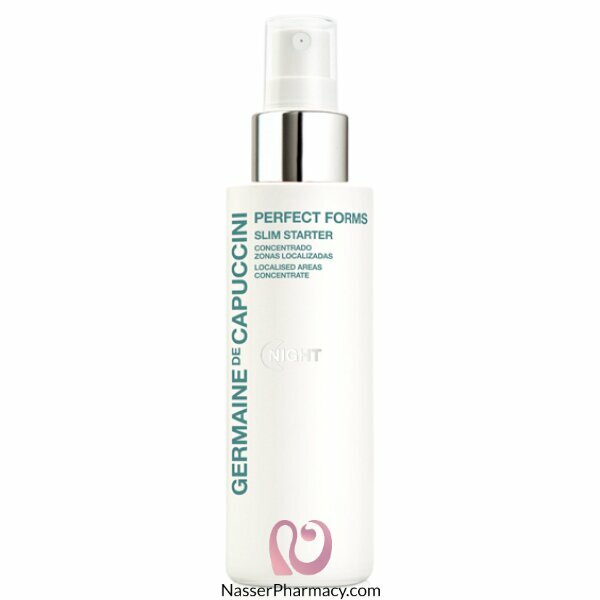 Apply at night several pumps of product directly on the body, massaging vigorously until totally absorbed. After a few minutes of massage you will perceive a sensation of heat, a sign of the innovative cosmetic activity of the product.